As you may have noticed it has been quiet around the Toronto Project since relaunching the OryxSim website. This is not because development has been halted, but rather because some experimentation has been necessary to determine what avenues are logical to pursue to get towards a release as soon as possible. The issues that are currently being faced are plenty, but the most urgent matter has been resolving the matters concerning the the ground texture. 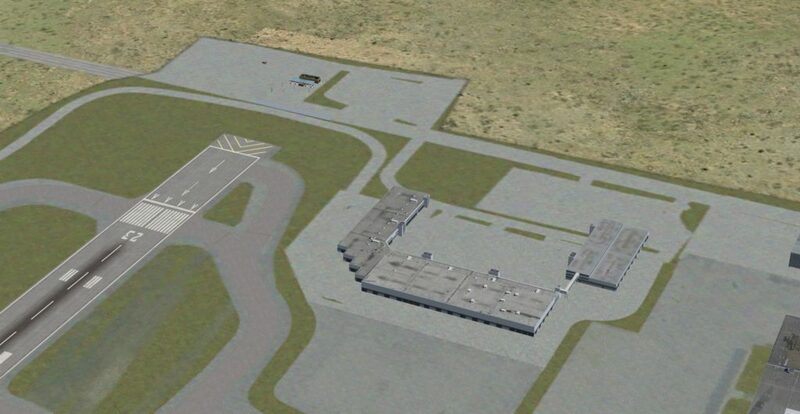 OryxSim purchased aerial imagery back in 2012, and I was also provided with high detail imagery later on. Unfortunately, it’s unclear to me what license the latter carries and I have therefore decide to not include this in the package. 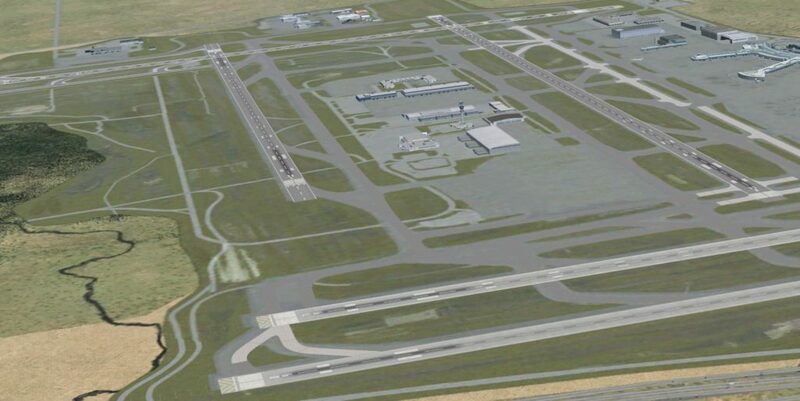 The aerial imagery purchased has problems too: apart from some cloud cover issues around the edges of the airport; there are issues fitting the image within the world of FSX. The image I got was not lens-corrected and there’s a notable distortion visible. 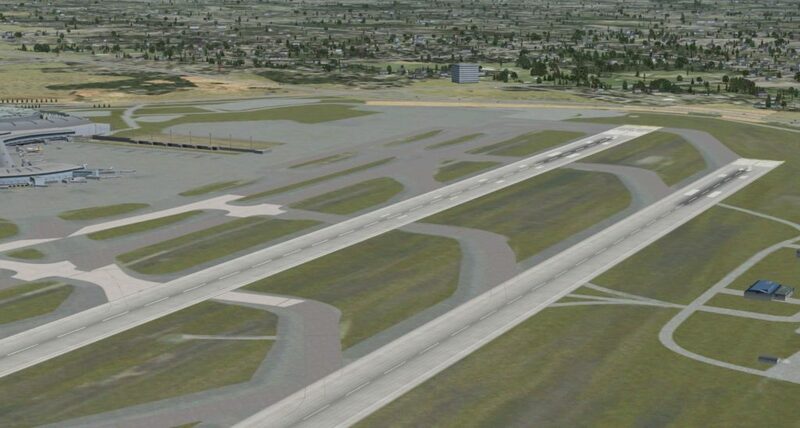 It particularly becomes notable when you see that the runways are not straight lines on the image(!). I have been exploring how I can incorporate that somehow into the map that I’ve been creating in Photoshop. From past sceneries, I have experience creating such maps (all sceneries featured such maps when they launched, they were only replaced as time went on). However, such maps obvious never can match the standards provided by high quality orthoimagery. 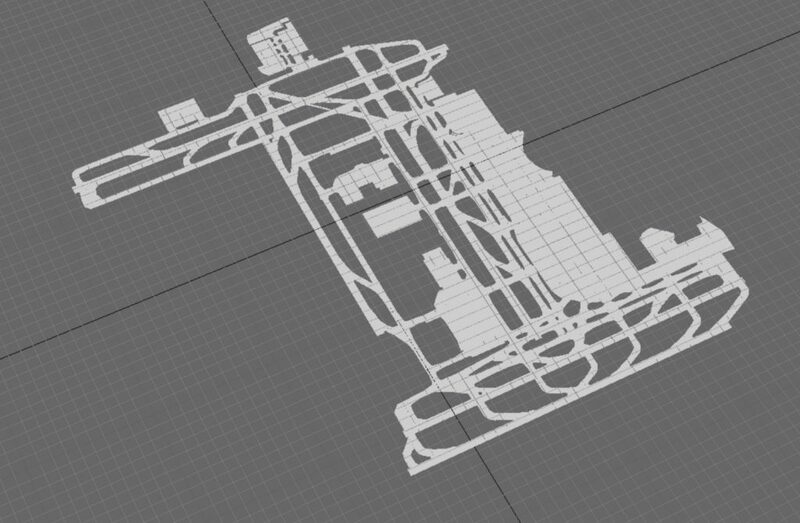 At this point, the ground map has been slowly approaching what I would consider acceptable standards. It’s not yet where I want it to be, but it’s miles better than what I had before. The performance as a whole is acceptable to which is a huge step forward. In some areas, this does not lead to a satisfying result yet. 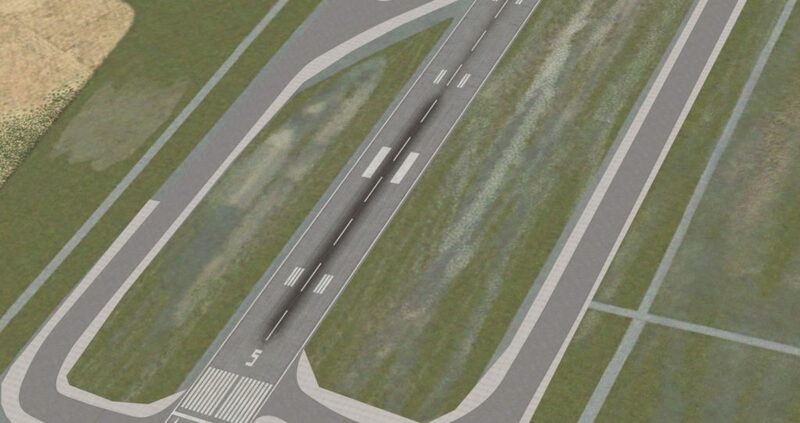 I have also been out drawing taxiways, and testing will commence on this very soon. It will then be a matter to align all the existing taxilines with the current image. Everything considered, there’s still plenty to do ground wise! The ground image will keep me busy for the weeks to come, keep in mind as well that seasonal variations need to be created as well. I hope to post a new update in about 2 weeks. I hope to be able to pick up some steam with the development too as I have been figuring out ways to synchronize development between different locations to create a continuous development flow. While I at times have an hour or two at the office to work on the project, these are rare and being able to develop at home as well would speed up things considerably. To be continued!